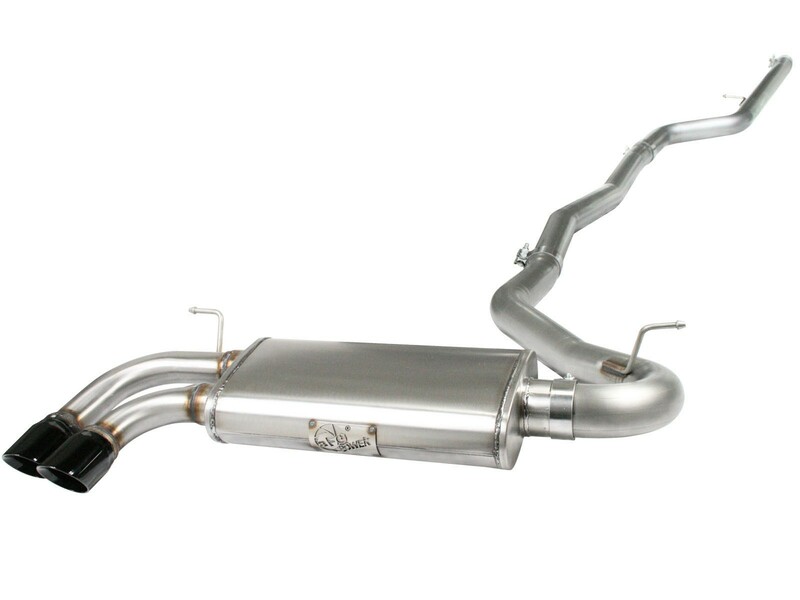 This new MACH Force XP exhaust system is for the 2012-2017 BMW 328i (F30) with the N20 2.0L turbo engine. 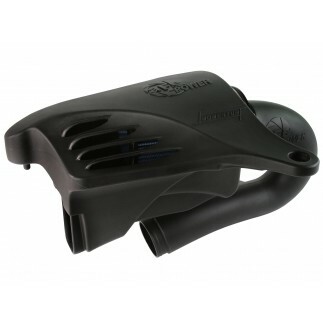 In recent testing this system produced 12 horsepower and 17 lbs. 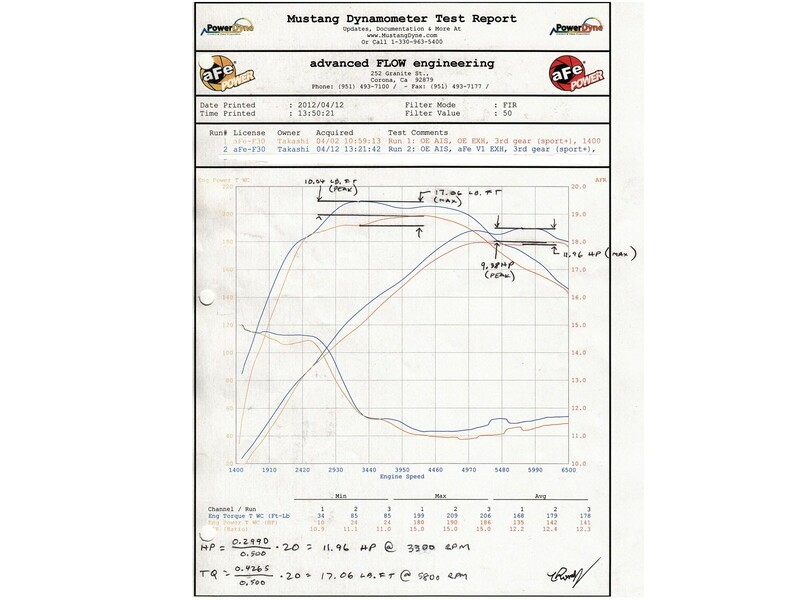 x ft. of torque. 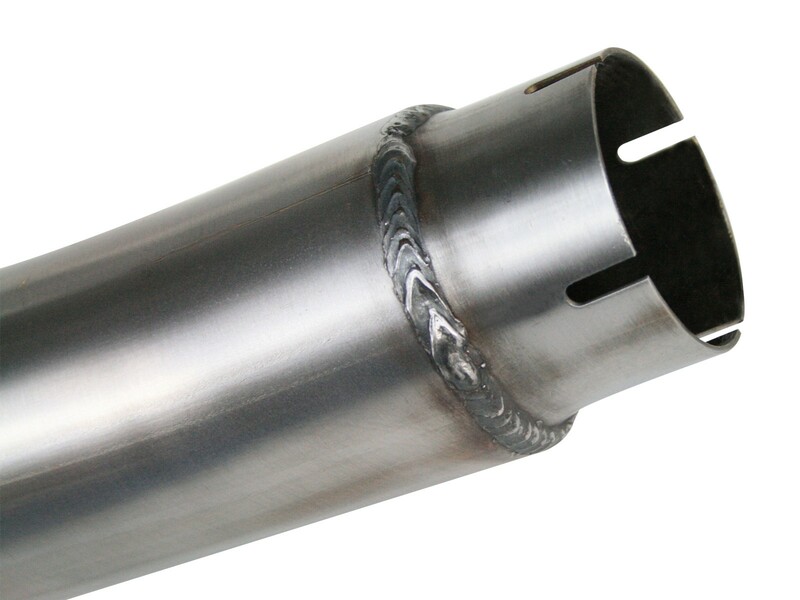 This exhaust system is constructed from 3.0" mandrel bent stainless steel and is MIG-welded. 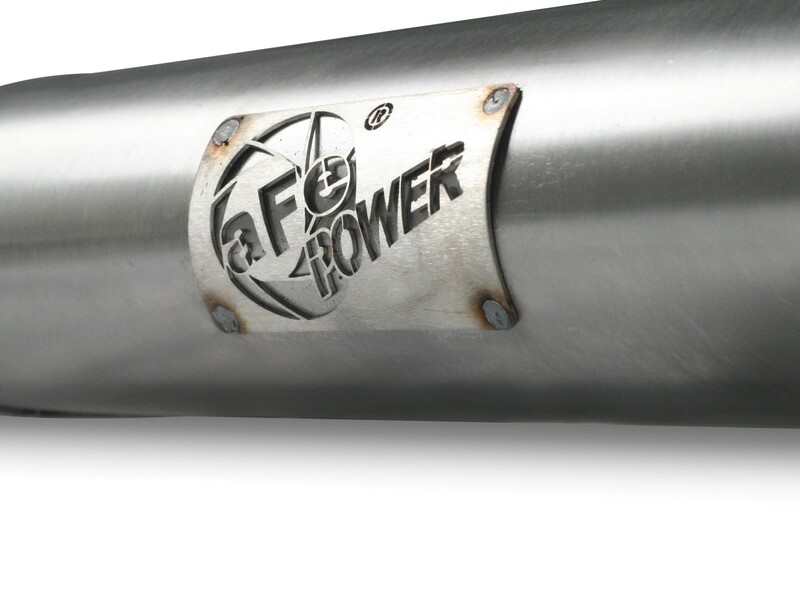 The system uses a high flow 18" transverse muffler with 3" diameter tubing which improves performance across the power band while maintaining a great tone. 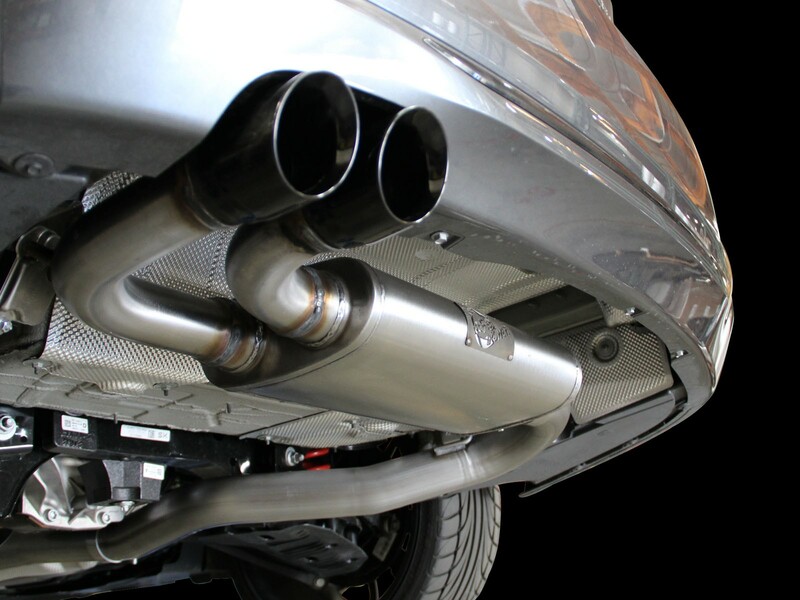 To finish off this exhaust are dual double wall resonated angle cut gloss black 304 stainless steel tips. 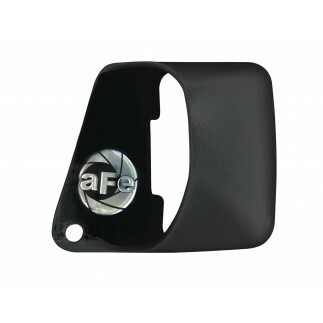 The factory actuator drive is retained with the aFe exhaust so that a check engine light does not occur. 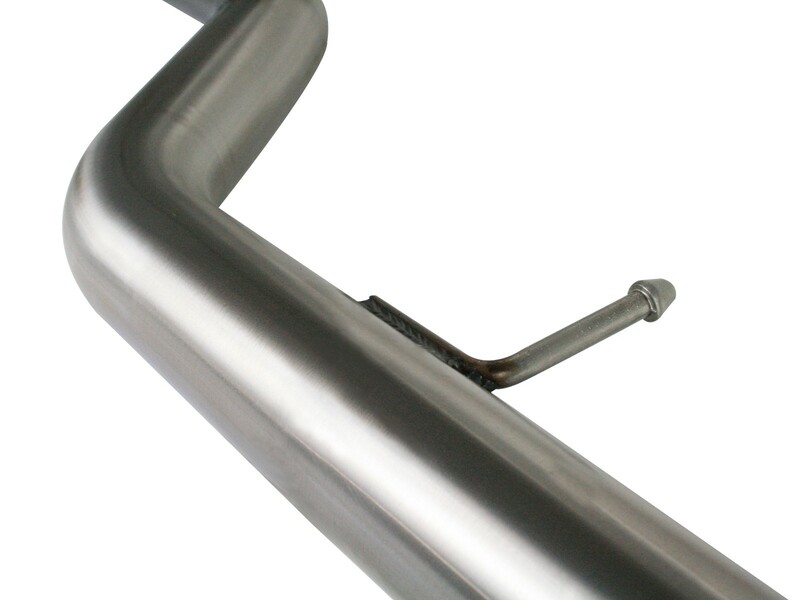 This exhaust uses all factory hanger locations for a hassle free installation. No modifications necessary.